Who said you cant reinforce cultural learning through math? Now you don't every worry about teaching children math without representation. 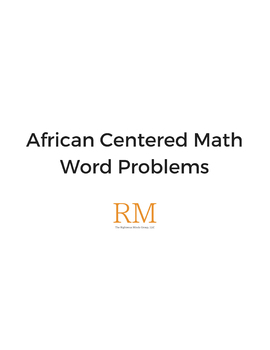 Culturally Relevant Math Word Problems makes math more engaging for Black/African children. Do not let another student who is entitled to learn from all perspectives continue to not learn from their perspective.